With the Lenten Season at hand, canned fishes do offer a variety of delicious meatless options that are prepared in different ways, in just a matter of minutes. Mackerel refers to different species of fish that includes Cero, Atlantic, King and Spanish mackerel. The mackerel is known for their oil meat and its health benefits. Many of the mackerel’s healthy benefits are derived from its oily meat which contains lots of omega-3 fats. Mackerel fish are rich in monounsaturated fats that help control blood sugar. I love mackerel for its taste and the healthy benefits it gives. Now, after opening some of the prettiest canned sardines and mackerel, I would say that hindi basta nakasanayan the best na yan. I’ve had lots of premium brands that tasted good, but some had tough scales that I had to pick off. The scaliness of said canned fish would keep me from giving them another try. The other brands came in with decent-sized fish packed in olive oil that were delicately-textured compared to other brands. It has good flavor, but the oil they were packed in distracts me from the fish texture I am looking for. 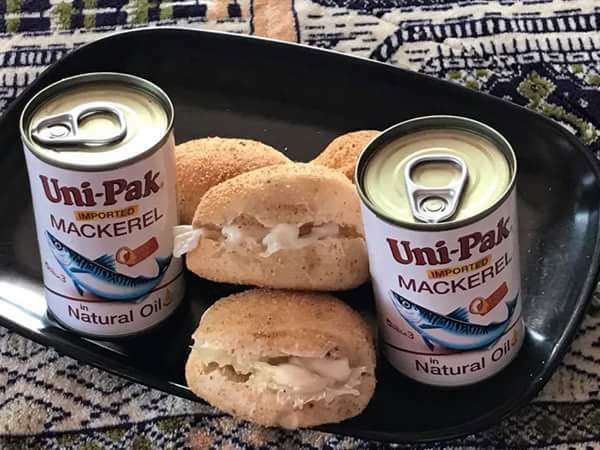 Uni-Pak Mackerel in Natural Oil is a marvelous discovery for me and hopefully it is to you too. While I prefer the flavor heavily masked by the tomato sauce, I am open to this whole new thing that is both healthy and affordable! The package design on these Uni-Pak Mackerel is simple and straight-forward. One thing nice about these Uni-Pak Mackerel was the way they held together and didn’t break up when I forked them out of the “easy to open cans". These mackerel in water-pack version were good! They were were meaty and mild. The mackerel pieces inside the can were big. These were a little larger than some mackerel I’ve seen packed in oil. Uni-Pak Mackerel have their skins and bones, but no tails which I appreciate. They were seasoned with spices and flavor enhancers based on its label. I usually eat mackerel with my favorite crackers. And while I like them on crackers, I thought they’d be great in place of tuna for tuna sandwich spread! I used one can of Uni-Pak Mackerel in Natural Oil 155g. After draining, I crushed the mackerel pieces, added in mayonnaise and minced onions. I seasoned it with salt and pepper. Next, I lined the pandesal with lettuce and added in the mackerel spread I just made. Uni-pak Mackerel in Natural oil is amazing! My sandwich turned out delicious! Visit their website for more information and easy-to-do recipes. 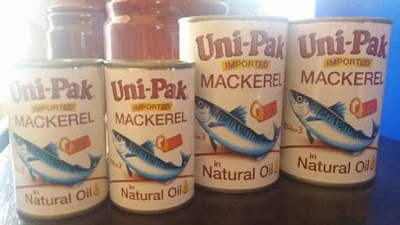 UNI-PAK Mackerel products adhere to strict quality control standards, and are manufactured using only the freshest ingredients and up-to-date processing and packing facilities. Kaya basta Mackerel dapat tatak Unipak! UNI-PAK Mackerel are imported from Japan and Korea. It is distributed locally by S-Lord Development Corporation, a manufacturer of canned goods that has been involved the business of import, export, retail, and distribution since 1985. Slord Development Corporation in Philippines also manufactures Unipak Sardines in Tomato Sauce and in Oil · Black Beans · Bangus Spanish Style · Bangus Paksiw Sardines · Bangus Tausi · Tomato Paste · Squid · Vegetable · Sallenas. Now I have a giveaway for my readers! One loyal follower of Lucky Finds gets a chance to win a gift pack from Uni-Pak Mackerel. 1. Like Lucky Finds Facebook Page. 2. 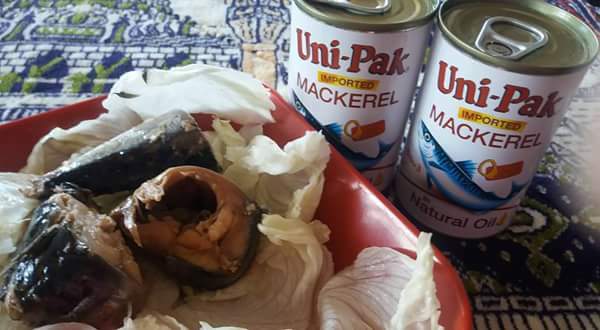 Like Uni-Pak Mackerel 's Facebook Page. 4. Follow Lucky Finds account on G+. 5. 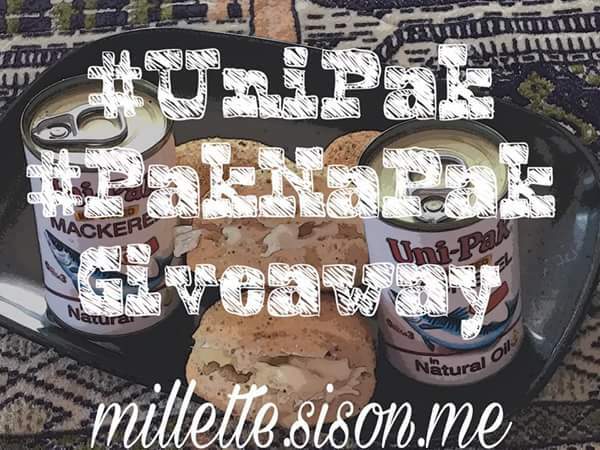 Share this blog giveaway on Facebook using the hashtags #Uni-Pak #PakNaPak #TatakUnipak. 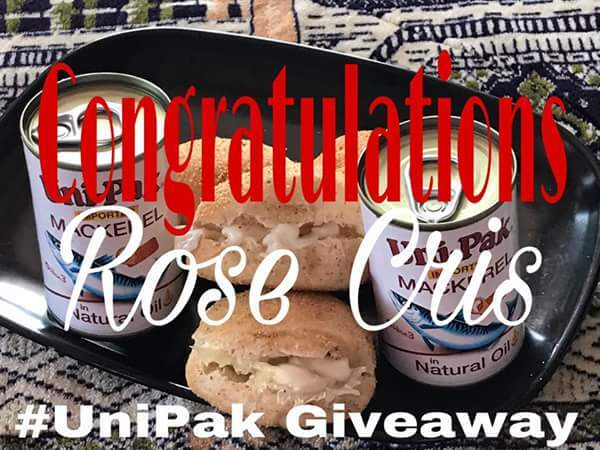 Don't forget to tag Uni-Pak Mackerel and Lucky Finds' Facebook Pages in your post. 6. Post your link, email and username (Facebook and Twitter) in the comment section below. This giveaway is open to Philippine residents and will end 12NN on April 17, 2017. Good luck! UPDATE: A winner has been drawn. Congratulations to Rose Cris. Sarap sarap nito sa pasta! I haven't tried this but surely will do one of these days. The Unipak mackerel taste so good. It's also easy to prepare and easy to carry. Pwde din po pla pangmerienda ang Unipak Mackerel. Wow sa sarap po!